← Simulating Circuits – More Examples! First make a separate directory for all your symbols. Opening gschem. Now save this blank file in the directory you just created. However, change the extension to sym. 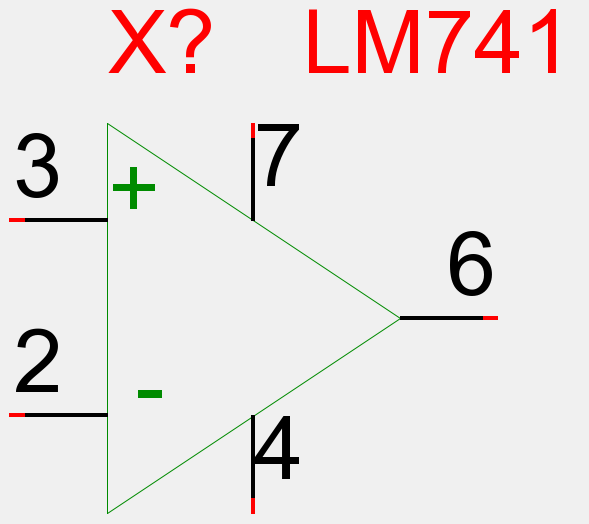 For this tutorial, lets name it as LM741.sym. We now have a blank sheet. However, there still is the title block – that big rectangle on the entire sheet. Delete it by dragging a rectangle around the title block and hitting the delete key. Next we need to draw the pins. 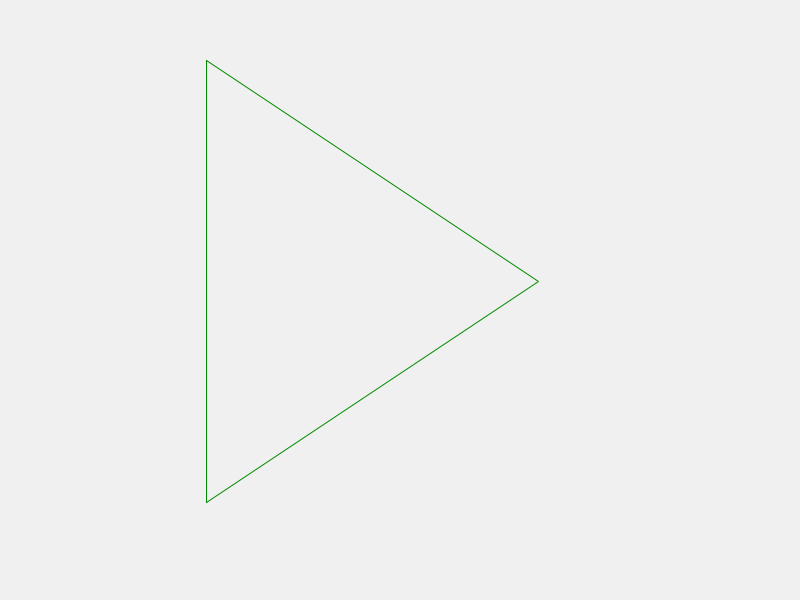 As the video says, start by clicking at a point away from the triangle, then click on the triangle. In the following figure, I’ve marked points 1 and 2. You first need to click near 1 and then near 2. Do the same for the remaining 4 pins. Looks cluttered? Lets fix that. Double click the pin we created first (non-inverting terminal) and set the following attributes (you’ll find them in the table already). Finally, go to Edit > Symbol Translate. And we’re done. Save and exit gschem. Before we stop, we have one more thing remaining to do. We did create the symbol correctly. But gschem should know we created it. To do this add the following line to your gafrc (located in ~/.gEDA). Create the file in ~/.gEDA if it doesn’t exist. Save the file and exit. Make sure that the path does not contain ~ or environment variables ($HOME will not work). You can however use a path like “./symbols”. To check if our symbol got added, open gschem and go to the Add Component dialog. 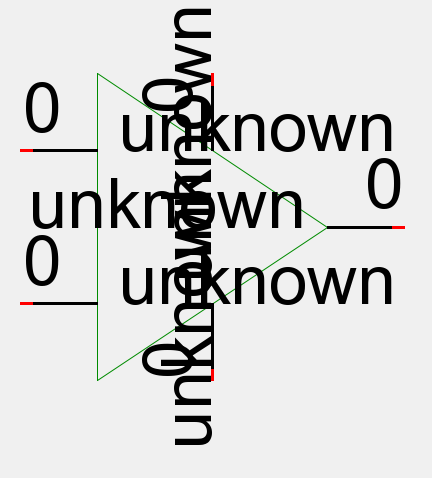 You should see the symbol we just made under the symbols section. Thats it for this tutorial. Try making a few more symbols yourself. Slowly you can have your own library of symbols depending on the kind of circuits you design. In my next post, we’ll look at how we can use this symbol in our schematic. We will also look at subckt – a way to decompose your circuit into smaller blocks. 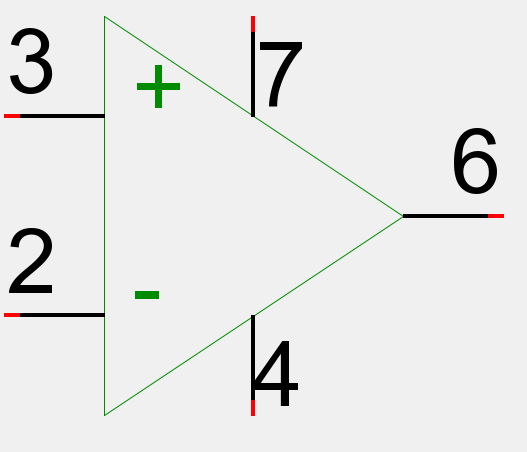 The op-amp’s characteristics are defined using subckts. Finally, a comprehensive and mostly complete description of how to create symbols in gschem. Much better than reading 5 different (and largely incomplete) documents to figure out how to do this, and what the attributes really are and which ones are required/optional. 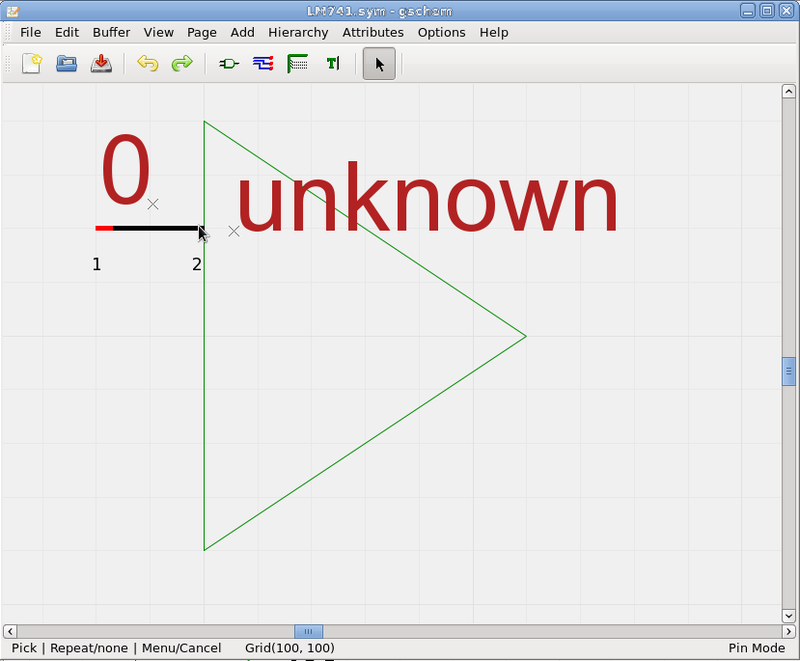 I had a model created on LTspice using the text editor and added it to the new symbol on ltspice which was my new component to the library. I was wondering how do I do this in gschem . If you could help? Then there is no difference between LTSpice and gEDA. You just need to tie the model with the symbol in the schematic. This tutorial explains how for a diode. It’s the same for any SPICE model/sub circuit. Indeed, a really comprehensive tutorial. Thanks Ashwith. I was concerned about using a schematic editor at the very first time in my life and right away I had to create my own components. Expected a long learning curve, but you tutorial worked like charm, and I was working on my design in no time. Appreciate your time and energy to create this tutorial. Very helpful. 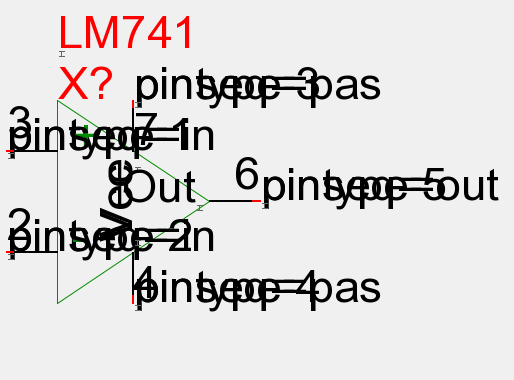 I created my 17 segment LED display and couldn’t figure out why gschem crashed whenever I tried to attach a net to a pin – but suspected I needed to sort out either footprint or pin related info. Now I know how to sort out each pin’s characteristics! 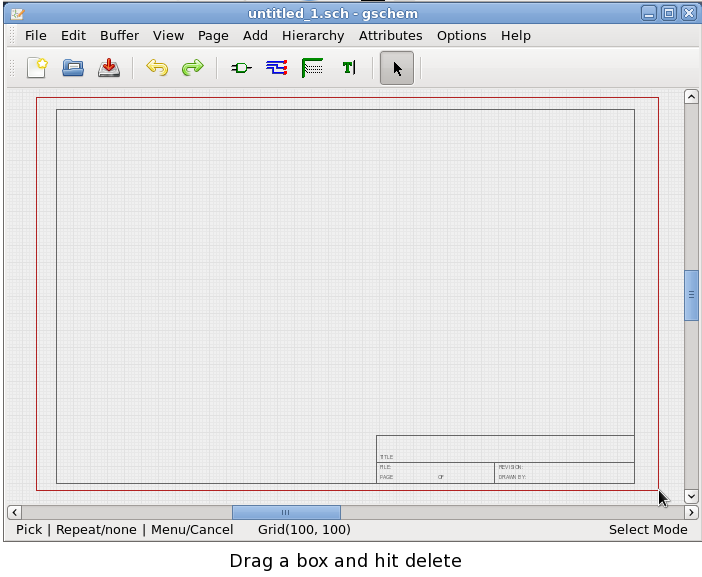 I am not able to see tool bar which consists file, edit, view and other options on the gschem window, as shown in above examples. I am using ubuntu and gchem version v1.0.00, not sure if this is the correct version but this is what the gspiceui tar ball says: gspiceui-v1.0.00.tar.gz. Can you please tell me what could be a possible cause? This will be agreat help. I don’t use Ubuntu but I think the Unity interface could interfere with toolbars. Ubuntu has tried to unify the application’s menu with the top Unity panel (To make it Mac-Like). Can you see the menu when gschem is not maximized? 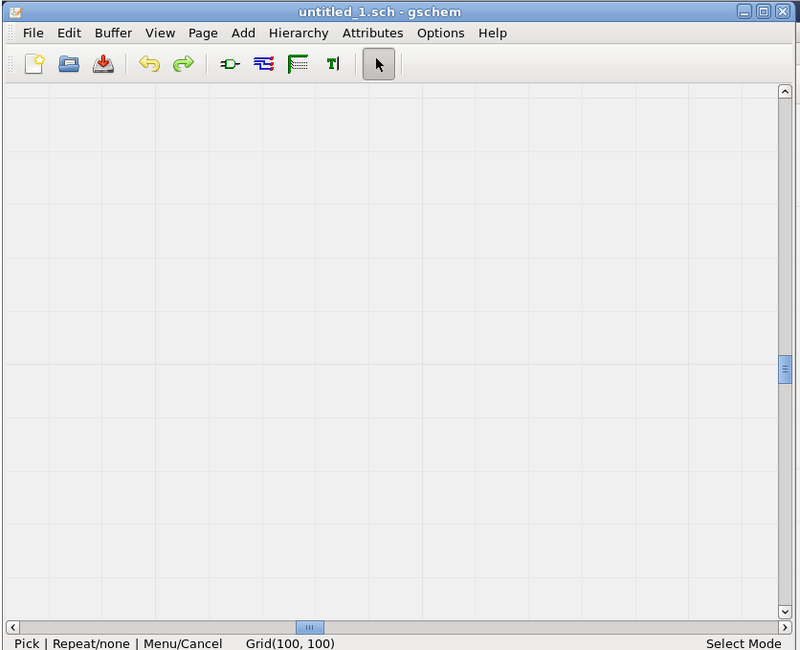 I do not see it when not maximized.. but do you know the bind keys which will do same thing like GUI do? for example like ‘aa’ do add attribute, is there some thing for edit->symbol translate? And, can you point me to your next tutorial.. this tutorial was very helpful, you have done an excellent job.. thanks a lot. Hi Ashwith, can you also point me to the version of Gspice/Gschem you are using, I will try to install that one and see if I can get the option tool bar..
Is it possible somehow to create an own symbol which I could use for instance in an e-mail???? Actally I would like people to see my own-created symbol. Could you help me to solve that? I can already make my own symbol, but if I copied it here you would not see anything just points or something. Maybe I would have to register my symbol somewhere? You mean you want a symbol as an image? If so, that is possible. Just click File > Write image. You’ll see a window pop up asking where you would like to save it. Sorry about the late reply. Hi Ashwith- Is there a list of pin types? I have seen “in” used for input, and “pas” used for passive, what are the others? How important are they? I don’t think the pin type matters for SPICE simulations. As far as I know these are required for DRC checks in a PCB design program. It’s important you use the right type if you plan to use your symbols to design PCBs. That page says that the pin type is needed when you want to create a netlist so I guess you must set it. You can use passive pins if you are not sure which one you should use. Thank you so much Ashwith. Your tutorials have saved me much time and made things much easier to understand. I’m glad I could help Keith! 🙂 Thank you for your kind words. Hi, thank you! It helped me a lot. Thanks. Pin Sequence is sets the order the pins are emitted to the netlist. When the schematic is used with ngspice or other simulators, the simulation relies on the pin order to set up the simulation netlist which will determine which components are connected to the external components, and so enable the simulation to recieve signals and power at expected points. If the device has multiple slots, the slot definitions will determine which signal pins are used for each simulated device in the package. It is vital that the pinsequence matches that expected by the SPICE model. No one seems to discuss that in the symbol creation guides, but to really benefit from the tools, it should always be presented this way. Thank you for your comment. I was quite new to symbols when I wrote this tutorial (I still am since I’ve rarely used them) so I didn’t realize that stating this is important. I did know that the pin sequence depends on the order in the SPICE model but I took it as something that’s obvious. I totally ignored slots before. Thanks for telling me about this. This is definitely quite important. Hi Ashwith! Thanks for these excellent tutorials. It had been helpful for me. I would like to share a solved trouble about the gafrc file modification. When I added the (component-library “”) line, I did it by copy-paste method, and by some reason, the quotation marks gave to gschem some problems. It wasn’t able to add my symbols directory and I didn’t found my recent editing symbol. The solution was to erase those quotation marks and replace these by new ones, without any previous format. Hi Jorge! I’m happy the tutorial was useful to you! I am aware of the issue. The problem is WordPress seems to be converting the quote characters to something different so it doesn’t work. I think I should make a note asking people to type it out and not copy and paste it. Hai..Ashwith I’am satish from West godavari . I working with fedora in electronics lab gEDA. so in this gEDA simple RC circuits simulation verified witg NGSpice.. Results are Observed. What is the error message you got in ngspice? I have given examples for BJT, diode, etc. Check out the previous tutorials like: this and this. One error which caught me out for a few minutes is that you don’t remind us to save as a .sym file type rather than a .sch. A minor edit, but a worthwhile one! Other than that, a very good tutorial. Thanks! I do talk about saving it correctly – right at the beginning 😉 It’s the first step.